Global2 is managed by the Department of Education and Training (DET). All the technology and technical support is provided by Edublogs. 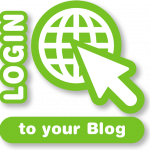 Global 2 blogs are provided for free to Victorian government and Catholic schools. You sign up for your Global 2 using the Sign up page here. Your account must be created using your Edumail email account or school email account. If you experience difficulty signing up please contact global2@edublogs.org. Work through the Edublogs Teacher Challenge series to set up your Global 2 blog. Upload multimedia files via Media. Use plugins to enhance your blog later when you want more. Students must use their school provided email account to have an account on Global 2. Global 2 uses limited email registration to restrict who can set up an account. We have tried to list all school accounts to allow automatic set up. If you experience difficulty signing up please contact global2@edublogs.org to have your school domain added.